Judi Bari's life, times and death are chronicled in "Who Bombed Judi Bari?" The film will be shown Saturday at the festival. The Davis Film Festival lasts just 2 1/2 days but targets most ages and sensibilities in the distinctive university town it serves. Tonight's program at Veterans Memorial Center is "more arty and edgy," said festival founder and director Judith Plank. Films include the 25-minute short "Hold Me Closer," about an organized "cuddle party," or gathering encouraging nonsexual touching, and the 13-minute "Strip," which sounds, from the "mature audiences" tag attached to it, like it might focus on non-cuddle touching. Saturday afternoon's program, including the documentary "Spirit Ranch," about a ranch focused on equine-assisted therapy, is more family-friendly. Children 12 and younger accompanied by an adult will be admitted free. All adult tickets are a bargain $7, and the how-low-can-you-go idea – a concept fully embraced in a college town – goes lowest Tuesday evening at a free wrap party at the International House. Party-goers can eat cake and watch "Thrive," a possibly groundbreaking, possibly crackpot documentary that … just see the trailer at www.thrivemovement.com. A "human rights night" suits Davis, a town full of "leftover hippies who are now Ph.D.s," Plank said. The city's activist tradition re-emerged and captured the national spotlight in November, with the police pepper- spraying incident at an Occupy protest on the UC Davis campus. 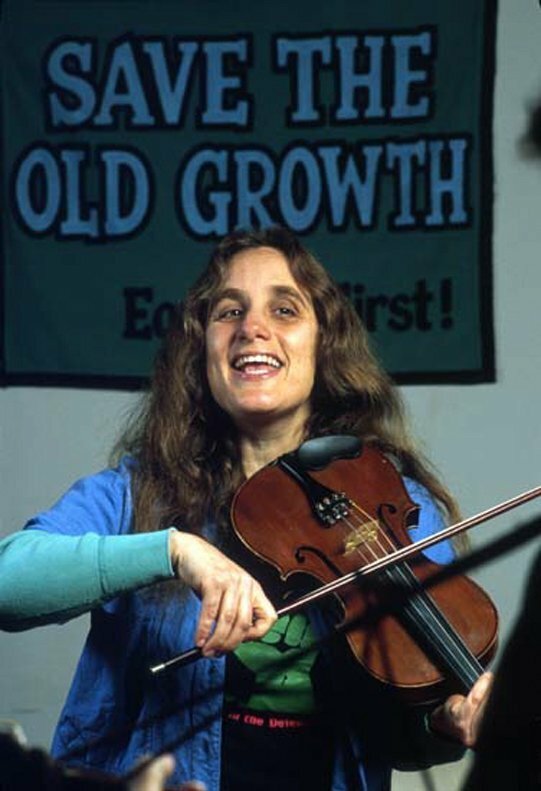 "There are many parallels, especially in the passion" fueling the Occupy movement and Bari's 1990s protests of corporate mill owners' clear-cutting of old-growth redwood groves, Plank said. Bari was driving, and fellow Earth First organizer Darryl Cherney was in the passenger seat, when a pipe bomb exploded in Bari's car. Both were injured, Bari far more seriously. Oakland police and the FBI initially blamed the bombing on Bari and Cherney. Authorities alleged the activists were carrying a bomb, meant for eco-sabotage, that accidentally detonated. Bari and Cherney were arrested but never charged. Cherney and Bari sued FBI agents and Oakland police officers for what they said was a frame job. They won, and Bari's estate and Cherney eventually received a total of $4 million.